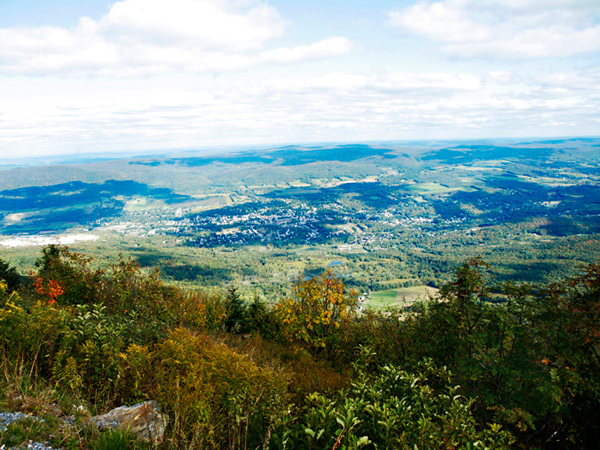 This 12,500-acre scenic reservation envelops Mount Greylock, the summit of which is known for its expansive views encompassing the Berkshire, Green, Catskill and Housatonic mountains spanning five states. 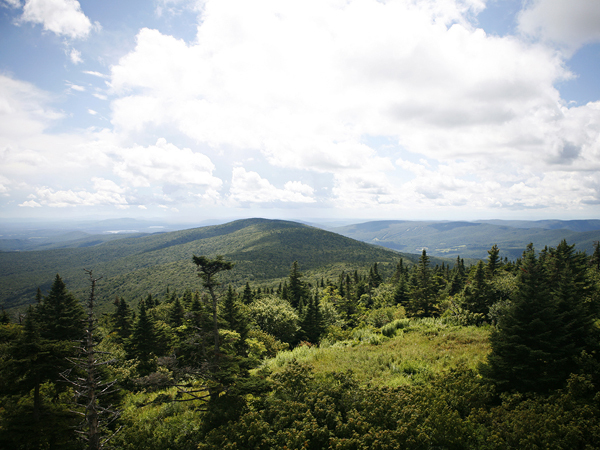 The wilderness reserve also includes the only taiga-boreal forest in Massachusetts, The Hopper, nested in a 1,600-acre valley and dominated by ancient red spruce trees. After early settlement as a sheep and cattle farm, by 1800 the mount had become a tourist destination, especially for Williams College students, who cut Hopper Trail to the summit in 1830. In 1885, citizens concerned about deforestation and subsequent erosion formed the Greylock Park Association and purchased 400 acres for recreational activities. The park became the state’s first forest reservation in 1898. The greatest period of park development occurred during the Great Depression, when an 11.5-mile segment of the Appalachian Trail was constructed across the summit between 1928 and 1931. The Civilian Conservation Corps paved roads, cut 50 miles of trails, created naturalistic firebreaks, and laid fieldstone retaining walls. They also erected the Art Deco-style War Memorial Tower in 1932, the Thunderbolt Ski Shelter in 1937, and Bascom Lodge from 1932-37. The rustic lodge, the summit’s destination point, was designed by local architect Joseph McArthur Vance and is built of oak timbers and local schist stone. Since 1966, the Department of Natural Resources has managed the reservation. Mount Greylock’s summit was listed in the National Register of Historic Places in 1998, while The Hopper was designated a National Natural Landmark in 1987.